Back in the technical meetings, we continued discussing various standards drafts until about 16:30 or so. After this, beginning at 17:00, was an administrative working group meeting, which is a special thing held at plenary meetings to go through administrative issues for the whole technical committee. As the head of delegation from Australia, I had to attend this small meeting that only involved ten or so people. The major item was revision of the TC42 strategic business plan, and I ended up taking an action item to draft a paragraph clarifying the scope and exclusions of the committee, and circulating it before the second AWG meeting on Thursday. With the AWG meeting done by 18:30, I headed with Jonathan over to Pedro’s restaurant, where we’d arranged to meet Ken and Margaret for dinner. This was just a ten minute walk from our meeting, and turned out to be a large hacienda style modern place, with a large car park around it. It seemed popular, but had lots of tables, and we got one by a window. After lots of complimentary chips and some very spicy salsa, Jonathan and I ordered a pitcher of margaritas while we waited for the others to show up. They both approved, and then we ordered dinner. 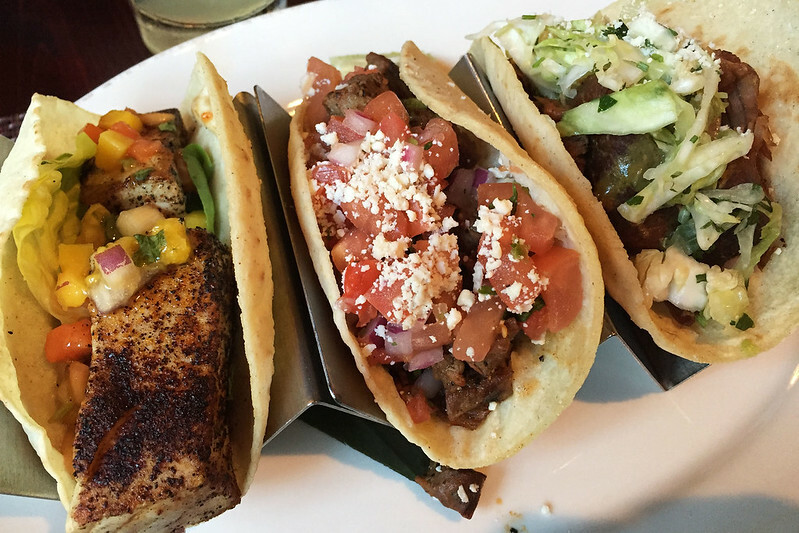 I selected a trio of tacos, choosing the chicken, pork carnitas, and pescado (fish) fillings. Margaret had the tacos too but chose two different vegetable fillings, one being cactus and one being some other plant neither of us had heard of, while Ken and Jonathan both had the chimichanga (essentially a deep fried burrito). 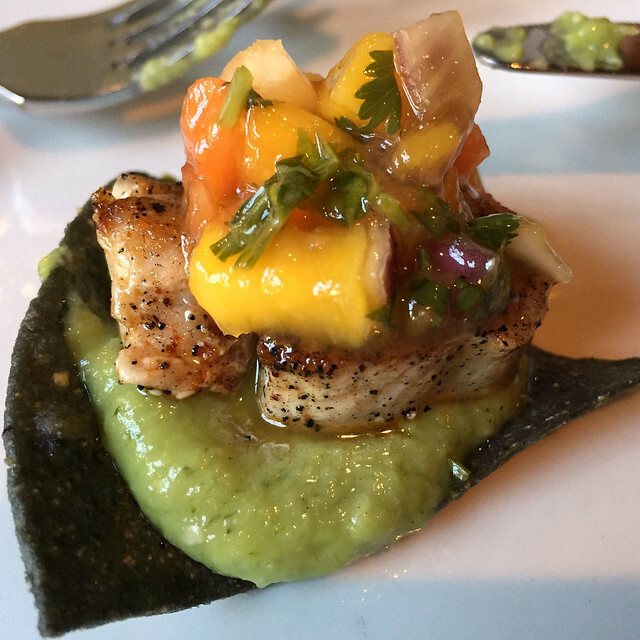 We also ordered an appetiser of grilled ahi tuna with garnishes on blue corn “tostaditas”, which I said was “mini tostadas”, but turned out to be essentially just corn chips. The tacos were good, in house made soft corn tortillas. The fish in particular was nice. I could potentially have tried a dessert, but none of the others wanted any, so we simply settled up the bill and departed. Ken and I walked back to Jonathan’s car at Intel where I’d left my laptop bag, and then Jonathan gave us a lift back to the hotel. I talked with M. a bit via FaceTime audio, since the WiFi kept killing any attempt to do video. Then read a bit and went to sleep. This entry was posted on Tuesday, 13 June, 2017 at 18:29	and is filed under Diary. You can follow any responses to this entry through the RSS 2.0 feed. You can skip to the end and leave a response. Pinging is currently not allowed.